Although many of the following links are distributed throughout the text of this site, I thought it might prove helpful to present them all together on one page for easy reference. I will also add links to other sites of Egyptological interest whenever time permits. unfamiliar with Egyptian mummification techniques. See If You Can Make A Mummy! if you can make a mummy! about the many monuments of ancient Egypt. periods and ancient Egyptian religion. from the Russian Academy of Science. work in the royal Valley. cache tombs in the Valley of the Kings. by Harry Burton! Some are already online. think may be Queen Hatshepsut. women who bring its treasures to light. crafted website on the Two Lands. this site is also an aesthetic pleasure to browse. out the rest of this impressive site. link sites on the internet. Begin here for all your research needs. with a generous helping of humor! The first Egyptology site ever on the web! 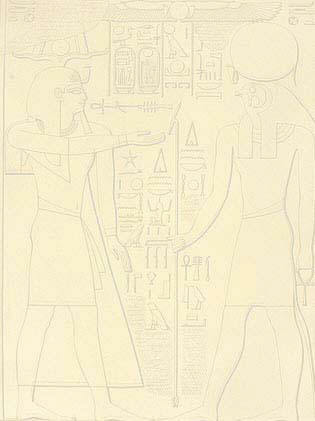 Click Here To Learn About Hieroglyphs!